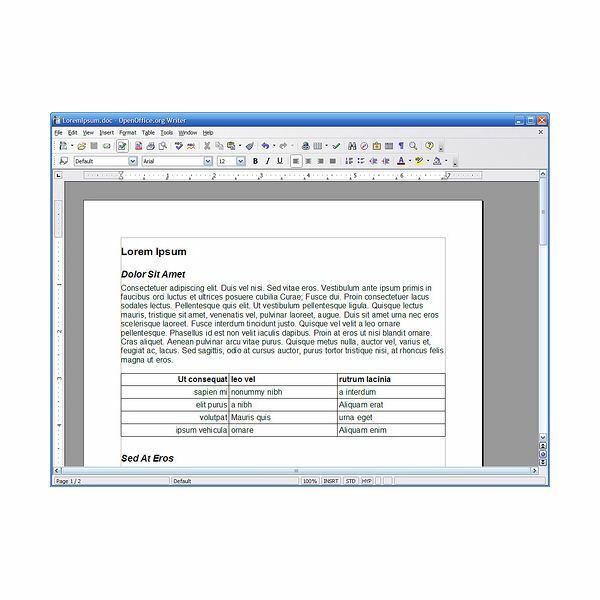 If a document doesn’t have the proper format, including standard margins, the reader is likely to make assumptions about the quality of the content. After all, if the writer couldn’t take the time to find out the proper format for the piece, what else wasn’t properly researched? With such a powerful impact on the mindset of a reader, setting the proper margin is paramount. APA Style and MLA Style guides, as well as the Chicago Manual of Style, all set a standard of 1-inch margins on all sides. For special documents, there may be exceptions to this rule. The most common types of publications with exceptions are listed below. Resume – Approximately 1 inch on all sides but no less than ½ inch, because it will cause a resume to look crowded. Cover Letter – On a professional cover letter the top margin, right margin and left margin should be 1 inch and the bottom margin 1 ½ inches. Business Letter – The top margin of 2 inches is standard for all business communications while all other margins should be 1 to 1 ¼ inches. Memos — Memos tend to be less formal communications, but need margins of 1 to 1 ½ inches for top and bottom with 1 ¼ to 1 ½ inches on the right and left sides. Legal Documents – There are hundreds of different formats for legal documents. Some courts require exactly 27 lines per page while others have specifics for font size and type. This leads to several options for margins. Top margins can be anywhere from 1 to 2 inches. Right margins are generally 1 inch. Left margins go from 1 ½ inches down to ½ inch. Bottom margins are always at least 1 inch, but are usually one and a half times larger than the top margin. Outlines – All margins should be set at 1 inch for outlines. Novels – Manuscripts for novels should have 1 to 1 ½ inch margins on the left, right and bottom. The top margin should be between 1 ½ and 2 inches depending on the placement of your header. Screenplays – The standard margins for a screenplay are 1 inch all the way around except for the left margin which should be 1 ½ inches. The individual elements of a screenplay have a different set of margins to follow. Slug lines and Actions should start at the 1 ½ inch left margin. Character names get a 3.7 inch left margin. Dialogue is set with margins of 2.5 on both the left and right. Parentheticals have a 3.1 inch left margin and 2.9 inch right margin. Scripts – Scripts are very similar to screenplays in that they have distinct margins for elements unique to the format. Slug lines have a 1.7 inch left margin and a 1.1 inch right margin. Dialogue margins are 2.7 inches on the left and 2.4 inches on the right. Character names have a left margin of 4.1 inches. Parentheticals are 3.4 inches from the left and 3.1 inches from the right. Scene transitions have a left margin of 6 inches. Top and bottom margins can be anywhere from ½ to 1 ½ inches depending on the length of the script and the number of actions and slug lines per page. These top and bottom margins must remain constant throughout the entire script so ½ inch is usually preferred. Dissertations – Every school has its own standard for dissertation formatting. In general 1 ½ inches on all sides is accepted, but anywhere from 1 inch to 2 inches on any particular side are conceivable. It is best to check with your dissertation advisor to get the current format standards for your program. Reports – Reports come in two forms, bound and unbound. In a bound report the first page should have a 2 inch top margin, a 1 ½ inch left margin and 1 inch right and bottom margins. The subsequent pages should have the same margins except the top margin should be reduced to 1 inch. An unbound report should be formatted in the same way except for the left margin, which should be reduced to 1 inch. Term Paper – Term papers should have 1 inch margins on all sides as per APA, MLA and Chicago Style Manuals all specify. Thesis – A thesis is usually a bound document so the margins at the top and left should be at least ½ inch larger than those of the right and bottom. The standard margins are 1 ½ inches for the top and left and 1 inch for the right and bottom. These are the suggested settings, but you should consult the binder you will be using for the margins based on their trim and binding methods.